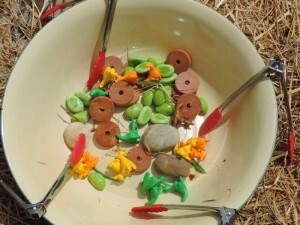 I love to come up with fine motor activities for children, especially toddlers as it is such an important pre writing skill to practice and strengthen. 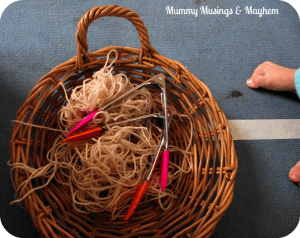 One of my favourite tools to encourage the use of fine motor skills and hand eye coordination is the small tong. 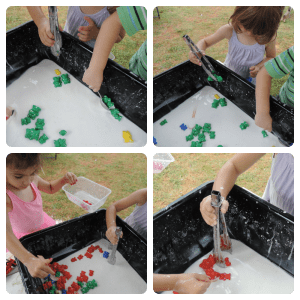 There are just so many ways to use them and although most toddlers will find them difficult to master at first they will keep persevering because they love a challenge at that age. 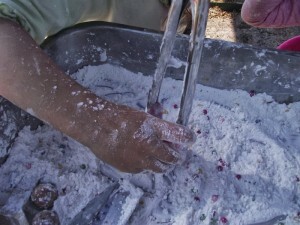 As they grow the tongs can still provide many challenges. 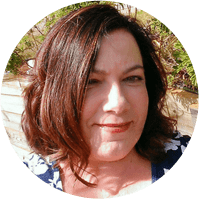 Once they have mastered the squeeze and release action you can also introduce smaller items to pick up and games that require them to squeeze and hold for a period of time while they transfer items. They are also fantastic to have in home corner as they encourage real life role play while they practise an important skill. 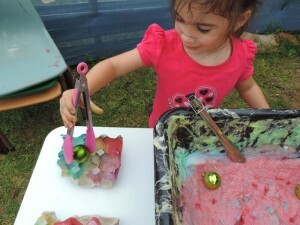 The use of tongs in play really does showcase the importance and ease of play based learning. 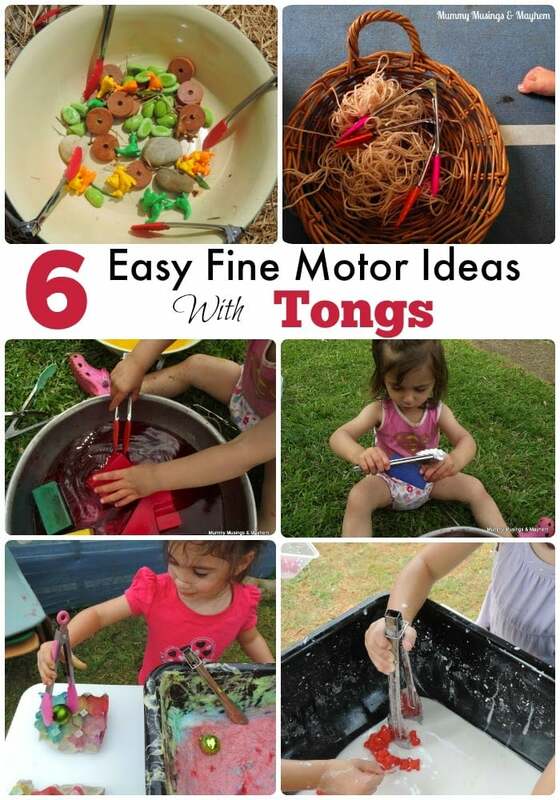 I’ve collected 6 of my twins favourite tong activities to share with you. Why not give one a go…they are all budget friendly and very easy to set up. I buy my tongs in packs of two from the local supermarket or pick them up from the op shops whenever I see them. I *might* have too many but at least there aren’t fights over them! Click on the pictures below to visit the activity post for more information. 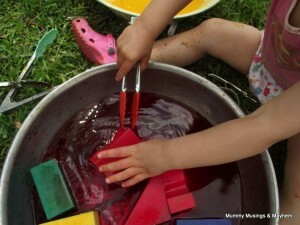 How does your child like to have fun with their fine motor skills? 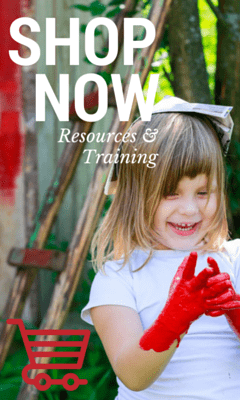 « 28 Fun Ideas to try with Recycled & Upcycled Resources!